Select this title Summer lovin' / Introduction by Liz Byrski ; stories by Joan London [and thirteen others]. [Book] 2013 Shelf Location: SUMM. Select this title The five people you meet in heaven / Mitch Albom. [Book] Albom, Mitch, 1958- 2003 Shelf Location: L ALBO. Select this title The invitation / Belinda Alexandra. [Book] Alexandra, Belinda 2018 Shelf Location: ALEX. Select this title Untold story / Monica Ali. [Book] Ali, Monica, 1967- 2012 Shelf Location: L ALI. Select this title In the midst of winter / by Isabel Allende ; translated by Nick Caistor and Amanda Hopkinson. [Book] Allende, Isabel 2017 Shelf Location: L ALLE. Select this title Me and you: Niccolo Ammaniti ; read by Rupert Degas. [Electronic resource] Ammaniti, Niccolo 2014 Shelf Location: Access this eAudiobook online. Select this title Numbered / Amy Andrews & Ros Baxter. [Book] Andrews, Amy 2016 Shelf Location: ANDR. Select this title Christmas Bliss / Mary Kay Andrews. [Book] Andrews, Mary Kay, 1954- 2015 Shelf Location: ANDR. Select this title The blind man's garden / Nadeem Aslam. [Book] Aslam, Nadeem 2013 Shelf Location: ASLA. Select this title Between us / Clare Atkins. [Book] Atkins, Clare 2018 Shelf Location: Y ATK. Select this title Stone mattress : nine tales / Margaret Atwood. [Book] Atwood, Margaret, 1939- 2014 Shelf Location: ATWO. Select this title All fall down / Cassandra Austin. [Book] Austin, Cassandra, 1969- 2017 Shelf Location: AUST. Select this title Five star billionaire : a novel / Tash Aw. [Book] Aw, Tash 2013 Shelf Location: AW. 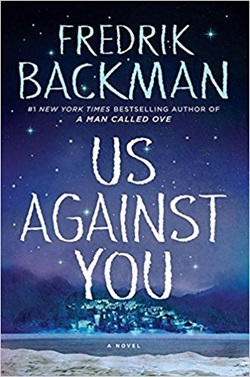 Select this title Us against you / Fredrik Backman ; translated by Neil Smith. [Book] Backman, Fredrik, 1981- 2018 Shelf Location: Access this eMaterial online. Select this title One summer / David Baldacci. [Book] Baldacci, David, 1960- 2011 Shelf Location: BALD. Select this title One summer / David Baldacci. [Book] Baldacci, David, 1960- 2012 Shelf Location: L BALD.